If you’re interested in the intersection of the maker movement, education and equity, take a half an hour and watch the video Thinking about Making. In it, Leah Buechley, the brilliant mind behind the LilyPad Arduino, compellingly points out the ways that the maker movement has failed to broaden participation and representation in its ranks beyond those who are wealthy, white and male. These issues are ones that need to be heeded, she argues, because the maker movement is at this point not just about tinkering and DIY culture, but about education and thus inextricably linked to issues of opportunity and access. She points out that when priorities are simply about hobbies and hobbyists, it’s potentially fine (though not preferable) to have a limited scope in terms of who’s in the conversation. But when there’s talk about education, and substantive moves to start putting money, human capital and political will behind the maker movement as part of educational reform, she rightly points out that leaving out issues of equity is unacceptable. I’ve blogged here before about the complicated, and potentially productive, relationship between making and learning. Buechley’s talk has inspired me to talk about where I see things now, especially in terms of issues she raises around race, gender and class. Specifically, I want to talk about how while the maker movement hasn’t internally changed its tune when it comes to broadening participation, we can still take inspiration from solid work being done by equity oriented educators that’s happening at this intersection of making and learning. Important context here is precisely how I came to the ‘formal’ maker movement, and how this affects the way I think about issues of equity in relation to making. Like many within the educational world interested in making, I was never part of the cultural ‘ranks’ of the maker movement beyond having been obsessed with Legos as a kid. Rather, I was of the progressive education world, specifically coming from a youth development perspective. At Global Kids, I worked with non-dominant communities focusing on empowerment, youth voice and new media literacy development in the context of youth digital media production. When I encountered the maker movement, I was just finishing my work at Global Kids and about to enter a doctoral program in the learning sciences. In the context of my academic work, I began to think more deeply about a variety of cultural changes involving new media, including the maker movement, from the perspective of learning theory. I, like other educators and scholars, was considering the ways that the maker movement might offer some inspiration for the re-imagining the design of learning environments. In contrast to didactic, ‘dumping knowledge in heads’ models of pedagogy that dominate education, the maker movement seemed to value creativity, experimentation, productive failure and applied usages of knowledge within authentic communities. These features, so sorely lacking in traditional ways of thinking about education, made the maker movement an attractive metaphor for the design of learning. Maker environments and practices also happened to line up quite well with Constructionist and sociocultural theories of learning that I began to value then, that I continue to value now, and that are valued by a range of researchers and practitioners dedicated to more equitable and powerful visions of learning. In a somewhat ironic twist, it’s possible to consider me, and many others that hold similar commitments, as ‘colonizers’ of the maker movement for the purposes of equity. I was an outsider to a culture, looking to appropriate, for my own educational community’s agenda around creating more agentive and empowered approaches to learning, the social practices and tools found within it. I’m fairly unapologetic about this – I think education needs all the help it can get, and if we can be inspired by things found in creative subcultures, I’m all for it. Buechley points out that the formal spaces of the Maker movement, places like Make Magazine and Maker Faires, have not become spaces with broad participation where equity is fully on the table. That’s a shame, and an ongoing problem. But one thing that is positive is that I’m seeing many of my colleagues within the education community successfully bridging practices and tools from the maker movement into their work in ways that are helping to move the needle on issues of equity. As a way to continue this conversation she started, I thought it might be useful to share some examples of what I’m seeing that look like in practice. In the context of Hive Research Lab, I have the opportunity to study many organizations within the Hive NYC Learning Network that are doing exactly this sort of work to bridge maker practice and equity-oriented education. Take MOUSE Corps, a program where non-dominant youth engage in participatory design to prototype assistive technologies with and for communities with disabilities. Or Dreamyard, a long-standing community arts organization in the South Bronx that’s incorporated soldering, 3d printing, and physical computing within its Dream It Yourself program. gadgITERATION, a project by the Parsons School of Design, has high schoolers teaching middle schoolers, all from underserved communities, the basics of electronics. At the New York Hall of Science, which hosts the annual NYC Maker Faire, youth and educators in the Collect, Construct, Change program worked to create an open source hardware and software tool that can be used in local citizen science projects that look at environmental issues in low income neighborhoods. Perhaps my favorite example is the Brooklyn College Art Lab, part of the Brooklyn College Community Partnership. This past summer BCCP engaged in an inter-generational, community-based co-design of their drop-in center to create a maker lab within it, working with youth and experts from other organizations around the city in a process that held true to the organization’s values of not just being in but of the surrounding community. There are some lessons that I think we can glean from these examples, lessons that can be heeded by others interested in making and learning who want to make sure we keep equity at the heart of the conversation. The first lesson is to bridge making practices into valued cultures of non-dominant youth. Dreamyard, as an example, has teens creating musical instruments, and brings fashion crafting into its programming. The second is to link making practices with taking action on social justice issues. Both NySci and MOUSE do this when they, respectively, engage in making for the purposes of shedding light on environmental conditions in a neighborhood or creating technologies that make life easier for those with disabilities. And a final lesson is to design maker education initiatives with, not just for, local communities. Brooklyn College Community Partnership is a wholly grassroots organization, and in figuring out what the maker movement might mean for their educational programs, they made sure that a full range of stakeholders, especially youth, were at the table. In many ways these lessons are not new – theories of culturally relevant pedagogy, funds of knowledge, co-design and participatory design would all suggest creating learning environments in similar ways. We just need to remember to continually apply, and advance, such ideas as we explore this intersection of making and learning. There are, of course, many more examples that we can look to of people and organizations bridging maker practices into equity oriented education work in inspiring ways. Not least of which, and a good final example to mention, is Buechley’s own work on the LilyPad Arduino, a technology platform that has successfully created greater opportunities for women of all ages to engage in creative computing through electronic textiles. The maker movement itself, as Buechley points out, has been slow moving to incorporate values of equity into its cultural spaces. As it continues to gain steam and legitimacy within educational circles, we need to continue to voice that this is not an acceptable status quo, especially as more resources are directed towards this intersection. And we can look to examples that are rooted in the work of innovative, equity-oriented educators to see what good practice looks like so that, as Buechley says, the new boss doesn’t look the same as the old boss. I was biking home from work one evening, coming from Downtown Brooklyn, riding down Fulton street to my place in Clinton Hill. Fulton street doesn’t have a bike lane, but generally is pretty ok for riders traffic-wise and for me is a straight shot from the office to my house. Just before the intersection at Grand street and Fulton, the biker ahead of me, a fairly young and fit maybe early 30’s Latino guy, had a foot slip from one of his petals and lost control a bit. He managed to just stay on the bike, which wobbled and swerved as he braked, but he didn’t regain his balance in time to prevent himself from whacking into the back of a car that was double parked just ahead of him. He wasn’t going really fast as he collided with the car, maybe about 7 or 8 miles an hour, and he hit with his front tire which bounced up and looked like it absorbed most of the impact. He stumbled and staggered, then flopped over in this rag doll sort of way with his bike between his legs as his final bit of momentum dissipated. Right behind him as this was unfolding, I had slowed down and immediately went over to make sure he was alright. He said he was fine, but was visibly shaken. It was a little bit of a close call – something could have easily gone much more wrong, all things told. He was regaining his composure and did seem to be generally ok, but as the drivers side door opened of the car he had back ended, a black SUV, I braced a bit for the expected road rage. The woman that stepped out of the car was probably in her early 60s, african-american, wearing a pea coat and a pillbox hat. She felt immediately grandmotherly. She went over, and in a sort of half concerned, half maybe irked way, glanced at the back of her car, but really briefly – almost immediately she had gone over to the biker, and smiled on seeing that we looked alright. She was sweet – she kept on sort of checking in ever after he signaled that he was just shaken but not injured. “Are you sure? You’re really ok?”, as the biker re-affirmed, amidst also being clearly a bit nervous and assuring her that her car was fine. At a certain point she just turned wholly motherly and affectionate – “You be careful, people drive crazy in the city! Do be careful sweetheart.” He kept saying “Yeah, yeah I know I’ve gotta be careful… I should be more careful”, all the while still a little discombobulated and catching his breath. “Alright, be safe now…” She half started to turn to go back into her car, but then stopped and said “You know what? C’mere. Lemme give you a hug – can I give you a hug?” The guy was still sort of dazed, but opened his arms and embraced her as she just gave him a little squeeze. “You be safe now!” He smiled, and thanked her. She popped back into her car, and he onto his bike, and they rode off, leaving me sort of scratching my head and wondering what the heck just happened, and marveling at the capacity this city has for small moments of beauty. Ok, it’s technically past midnight, but I thought I might post a lovely anecdote (of a larger interview) from the great oral historian of the Great Depression, Studs Terkel, as this Labor Day comes to a close. “Oh, one quick thing. Before we close, we are suffering what I call a national Alzheimer’s disease. That’s why Bush and Ashcroft [have] no memory of yesterday, as though there were no Depression, as though the free marketeers (I call them marketeer to rhyme with buccaneer) … The free marketeers, during the Great Crash of 1929, fell on their knees and begged the government, “Please help us out.” And so the New Deal helped them out with regulations. And [now] their grandchildren, whose granddaddies begged the government, say, “Too much big government,” when it comes to health, education, and welfare, and not Pentagon. So there’s this loss of memory. The young have been deprived of this. Many young kids are anti-union. So here I am — and this is the anecdote — I’m waiting [for a bus]. I talk a lot, as you can gather, and sometimes down the street I go, talking to myself. I find the audience very appreciative. And so they know me at the block. They know I wrote some books. But they also know me as the old gaffer talks to everybody. So I’m waiting for the bus. But this couple, I cannot reach. There’s a couple, I have to call them yuppies, because they are. Most young people are not. Most young are lost in the world, and wondering what … but these two are. He’s in Brooks Brothers, and he’s got the fresh-minted *Wall Street Journal *under his arm. And she’s a looker. She’s got Bloomingdale, Neiman-Marcus clothes, the latest issue of *Vanity Fair. *But I can’t … they won’t recognize me. My ego was hurt, you know. Everybody knows me! We start talking. The bus this day is late in coming. So I said, “I’m going to make conversation with them.” So I say, “Labor Day’s coming up.” That is the worst thing I could possibly have said. He looks at me. He gave me that look that Noel Coward would give to a speck of dirt on a cuff, and he turns away. Of late, folks in my corner of the educational world have been jazzed about the intersections of maker culture and education. I’m super excited too – and even pleasantly surprised. A couple of years ago the bigger trend in my world was about games and learning, and while that’s certainly not gone away, the prominence of the more open-ended, tinker-oriented maker work has had a serious surge lately. 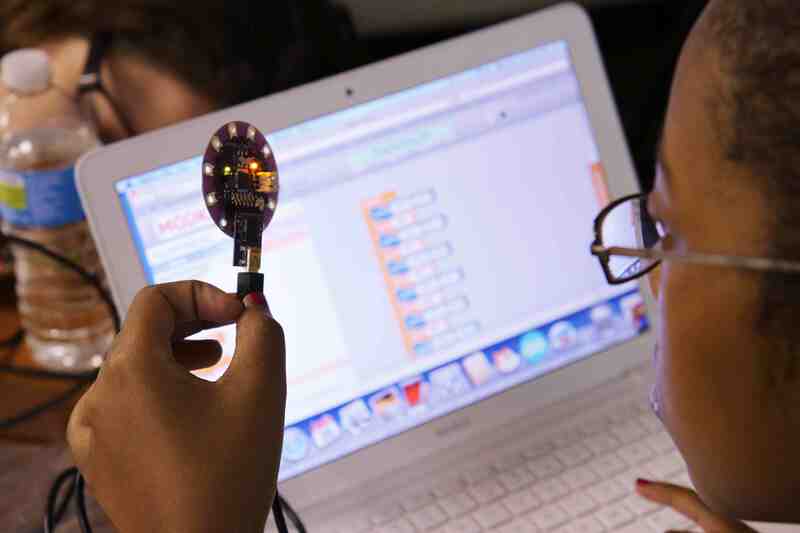 Audrey Watters over at HackEducation called the Maker Movement one of the top ed-tech trends of 2012. The burgeoning ed-tech news aggregator EdSurge has managed a good deal of reporting on Maker and DIY learning amidst its usual grind of MOOC’s and Learning Management Systems. Mozilla has fully embraced the “making is learning” stance in positioning its Webmaker initiative, which I’ve written about before (and, full disclosure, contribute to on occasion). And my own lab here at Indiana University just last week publicly launched the Make-to-Learn initiative, a research focused collaboration including some fantastic organizations including MIT’s LifeLong Kindergarten Group, the National Writing Project, Instructables and the MacArthur Foundation, among others. Clearly, making and learning is hot. And as with all things trendy, it’s easy for the core message to get lost amidst the hype. That’s why I want to (briefly) address a question any edu-hype-skeptic should be asking right now: Is making, in fact, learning? The short answer: yes, but it’s complicated. The longer answer is that the best maker-driven learning is never just about the making. It’s about all the things that happen around the making. That initial spark of curiosity, the investigation and early tinkering, the planning and research that follow, the inspirations and appropriations from other projects, the prototypes, the failures, the feedback, and, perhaps most importantly, the iterations upon iterations towards a better make. All of these acts are done in and contingent on well configured social contexts, in communities of practice and affinity spaces. This all goes back to core ideas of Constructionist learning theory and the foundational work of Seymor Papert. And it’s why I prefer talking about the Maker Movement as having strong lessons for learning, as opposed to just making, which can be construed as more solitary. Making in and of itself can sometimes involve the sorts of steps I described here, but not always. That’s why the answer is complicated. I’m willing to say that someone is always learning something when they’re making, but they learn best when it entails the sort of process, community and well configured structures of participation I describe above. When I went to the Maker Faire last September, I wrote about how a revamped pinewood derby was set up in such a way that it embodied principles found in well designed learning environments. I talked about things like multi-generational engagement, clear contexts for using what’s being created, multiple avenues to success yet transparent and clearly defined standards. All of these things are about the interactions that are possible within a larger culture of making. Obviously, it’s the act of making that ties all of these interactions together, but the story around how the learning happens is always more complicated than the simplified idea that “making is learning”. My sense is that so many of the folks taking up the making and learning mantle are nodding to all the things I’m saying here. These insights are obvious to anyone who thinks for more than a minute about what it means to be making in a way that might support robust learning via real world contexts. And the initiatives I’ve mentioned reflect this understanding. Mozilla is dedicated to creating a robust mentor community around Webmaker. The almost 25 thousand folks taking the MIT Media Lab’s Learning Creative Learning MOOC will be getting a healthy dose of Papert as they learn about maker-oriented learning environments. And reading Audrey Watters’ recent post on the case for a campus Makerspace tells me that she gets what this is all about too. I just want to make sure we keep the complexity, nuance, and real power of this pedagogical approach in mind as we start to build a movement around it. It would be such a shame if we watered down the real power of maker-driven learning. This piece, co-authored with Michael Levine of the Joan Ganz Cooney Center at Sesame Workshop, appears in a book released today called Expanding Minds and Opportunities: Leveraging the Power of Afterschool and Summer Learning for Student Success, edited by Terry Peterson. All of the articles in the volume are, wonderfully, available online here, and you can get a hard copy here. A PDF of this article is available here, and you can check it out on the book site here. The days when summer and afterschool learning programs that only offered “safe custodial care” were considered fine are thankfully behind us. Tectonic social changes—including demographic shifts that have placed most women with school-age children in the labor force, research breakthroughs in the learning sciences and in socio-emotional and brain development, and daunting national achievement worries—have all converged to place a major new emphasis on the quality of a child’s learning experiences throughout the typical school day, after school, weekends, and across the year, including summers. Over the past decade the C. S. Mott Foundation, the Wallace Foundation, the MacArthur Foundation, and others have conducted groundbreaking programmatic and research initiatives to expand learning time after school and during the summer. These initiatives have defined “a new day for learning” (Herr-Stephenson, Rhoten, Perkel, & Sims, 2011; Time, Learning, and Afterschool Task Force, 2007). The recent convergence of scholarly research, program development efforts, and policy advocacy work have all pushed in the direction of a fresh “ecological” framework for learning that nests more responsibility in the nonschool hours. This “mind shift” has been helpfully characterized by scholars at the National Science Foundation’s Learning in Formal and Informal Environments (LIFE) Center as the “life-long, life-wide, and life-deep” approach to learning (Banks et al., 2007). Such a shift characterizes a natural progression in how we should think about learning in the 21st century. It is now broadly understood that expanded learning programs can and must be much more than “graham crackers and basketball”—that is, they can play a critical role in young people’s lives. But what does a real mind shift look like? Currently, there exist dramatically different visions of the desired outcomes of expanded learning time programs. One vision is that afterschool and summer learning programs should be aligned with current education reform efforts—high-stakes testing, narrow accountability, and the Common Core State Standards that are directed at just two subjects. Another view—and the one we argue for here—is that expanded learning-time programs should exist as part of the larger ecology of a young person’s 21st century existence. This ecology is framed by the digital, interconnected world in which we all live and should, therefore, incorporate systemic links between what are now disparate venues of learning. Thus, we place great priority on youth participation and productivity in learning opportunities that burnish their civic and collaborative skills through the creative, evolving digital technologies so ubiquitous in the world. Research shows that the past decade’s focus on accountability and high-stakes testing is leading to a more intensive emphasis on reaching all children, but it is inadvertently resulting in a curriculum for many low-income children that is narrower, fragmented, and oriented towards “direct instruction” instead of student-driven inquiry (Au, 2007). The Common Core, while arguably a strong baseline for student learning in the United States, are rightfully being criticized for a weak emphasis on 21st century competencies like creativity, collaboration, and communication (Partnership for 21st Century Skills, 2010), as well as for a narrow focus on only reading and math. Expanding learning-time programs that focus with all good intentions on remediation and tutoring, but that extend traditional school structures into afterschool time, may experience weak attendance and missed opportunities because these efforts are too often disconnected from the rich learning lives of today’s youth. The Kaiser Family Foundation’s “Generation M” research and the qualitative work of Mimi Ito and colleagues (2009) document the explosion of interest in digital technologies that allow youth not only to “media multitask,” but also to explore, create, and share knowledge around their personal interests and across many knowledge domains. We believe that these experiences can be significantly leveraged and augmented in expanded learning-time environments. We advocate another vision for out-of-school-time organizations—one that positions young people as creators, makers, and innovators. Our vision will allow youth to go deep into 21st century learning by focusing on knowledge productionwith the technologies pervasive in our world. Youth are increasingly doing incredible things through their engagement with digital media. For example, in online multiplayer games, they are collaborating with sometimes hundreds of people around the world to tackle complex challenges in the form of dragons to be slain. In fan communities, they write and rewrite favorite books like Harry Potter, extending plotlines and creating alternate endings, all the while engaging in rigorous feedback and revision processes that English teachers would admire. There are several outstanding models of innovation in the expanded learning-time domain that suggest a set of key principles to guide afterschool and summer learning leaders in designing new, digitally savvy, and integrated learning environments. The principles offered below are based on an examination of three exemplary innovators in expanded learning time: the YouMedia network, spearheaded by the Chicago Public Library; Global Kids, an afterschool leadership organization based in New York City; and the Computer Clubhouse network, which was developed originally by the MIT Media Lab and now includes approximately 100 community centers in over 20 countries (Kafai, Peppler, & Chapman, 2009). Provide technological infrastructure that supports media design and production. Providing access to technology is essential, of course, but this should be seen only as a first step. Programs should ensure that access to the Internet is relatively unrestricted, that files and programs can be downloaded, and that youth have ways to save personal work and access it using any computer. These elements are all essential to creating a space in which design and production activities with media can promote robust learning. Additionally, program developers should ensure that production-and design-oriented software and hardware are available. At the Computer Clubhouse, and in over 3,000 “Club Tech” centers operated by the Boys and Girls Clubs, software is available that supports computer programming, game design, graphic design, and audio and video production; moreover, hardware, such as video cameras, sound recording equipment, and digital cameras, can be checked out at some centers. Create a culture of sharing meaningful media creations. Some of the most important learning outcomes associated with digital media are tied to creating, sharing, and getting feedback from peers on projects that youth care about. This can happen through gallery showings, performances, screenings, “critique” sessions, and the creation of localized online spaces in which youth can review and comment on each others’ work. In 2009, Global Kids co-founded Emoti-Con, the annual New York City youth media and technology festival that brings together hundreds of youth from across the city to exhibit their digital creations in a public forum, get critiques from both peers as well as professionals, and connect with a larger community of media creators. These kinds of meaningful contexts for sharing work encourage youth to go deep and develop expertise through iteratively improving their projects. Provide skilled mentors to support and respond to youth interests. Adults, as always, have important roles to play in afterschool and summer learning programs. In connected, expanded learning programs, adults often provide mentoring around technology use and promote good citizenship practices associated with new media use and production. At YouMedia, skilled artists serve as mentors, leading workshops on specialized topics and helping youth organize projects around emerging interests. These highly skilled adults provide youth with role models and powerful images of engagement in expert practice and mastery of fundamental skills needed to do well in school and in life. Create mixed-age spaces. One of the key aspects of 21st century learning environments is that they feature participants of many ages that have a range of experiences, backgrounds, and areas of expertise. Schools typically maintain the increasingly outmoded practice of grouping children by age, while most other successful learning environments leverage the strengths of mixed-age populations. At the Computer Clubhouse, groups diverse in age and experience ensure that participants can sometimes be learners and sometimes be leaders, with reciprocal benefits accruing on both ends of those relationships. Design spaces to build relationships! Peer relationships matter most in effective expanded learning communities. Youth will rarely persist in an activity or remain a member of an organization if they do not form strong relationships to peers or mentors. YouMedia’s model incorporates both unstructured time for developing such relationships, as well as a conducive physical space in which youth can hang out, socialize, and develop bonds. Modernize places in every community. With the goal of creating a new expanded digital learning road map in every community, each of the nation’s 21st Century Community Learning Centers should undertake its own “digital learning inventory” to determine what is currently being done to advance digital learning in local afterschool and summer programs. These inventories should identify the funds that are currently available, the barriers to using new resources for digital learning in these programs, and the capacity of local partners to contribute tools that are needed for technology-based innovations. Create professional learning communities. Youth-serving professionals are too often behind the curve when it comes to understanding the capacities of new media for learning. They should look to models of new online professional communities that are forming across key professional associations and networks, such as the National Writing Project (NWP), Consortium of School Networking (CoSN), and city-based affiliations like the Hive Learning Networks. The expanded learning community should take up the challenge of creating a digitally savvy mentors corps to identify a cadre of capable leaders who can train and support youth-serving professionals, based on a blueprint for teachers offered by Levine and Gee (2011). Build capacity and awareness. A cadre of pioneering expanded learning organizations has already begun program development work around anytime, anywhere learning, including Think Together in California, the Digital Youth Network in Chicago, the Digital On-Ramps initiative in Philadelphia, the Kids and Creativity Coalition in Pittsburgh, and numerous others mentioned throughout this article. They are updating or creating new program materials and projects on digital media and expanded learning themes. We should support these leaders with research and development funds to document successes and failures, invite them to national conferences to share these, and use their models as the focus of the advocacy work of state afterschool networks to expand quality programs for a digital age. Future investments in local program capacity can be advanced by recruiting champions for expanded digital learning, including governors, mayors, businesses interests in economic development, as well as chief state school officers, state boards, school districts, and influential nonprofit partners. Policy leaders, in particular, can (1) support initiatives that expand broadband availability in all of the federally funded 21st Century Community Learning Centers and in state and locally-funded afterschool sites; (2) encourage robust experimentation with digital platforms that allow expanded learning organizations to collaborate, share practices, and connect experiences that kids are having at various expanded learning sites; and (3) support pilot experiments in up to 10% of the 21st Century Community Learning Centers that focus on integrating evolving technologies. Over the next 5 years, major innovations in digital technologies and learning are not only possible, but almost inevitable. Investment in educational technologies by venture capital is at a 20-year high (Ash, 2012), and many cutting-edge community educators are fashioning ways to connect the learning happening on youth’s own time to what is happening in school and in out-of-school environments. Expanded learning time initiatives, including afterschool and summer programs, should help lead our nation out of its narrow educational mindset by promoting communities in which children and youth are positioned as “makers and creators,” based on what they are passionate about. By unlocking new opportunities for “modern” learning, we can drive a pragmatic mind shift that will generate great benefits for our nation. Au, W. (2007). High-stakes testing and curricular control: A qualitative metasynthesis. Educational Researcher, 36(5), 258-267. Ash, K. (2012, February 1). K–12 marketplace sees major flow of venture capital. Education Week, 31(19). Ito, M., Baumer, S., Bittanti, M., Boyd, D., Cody, R., Herr-Stephenson, B., . . . Tripp, L. (2009). Hanging out, messing around, geeking out: Kids living and learning with new media. Cambridge, MA: MIT Press. Kafai, Y. B., Peppler, K., & Chapman, R. (Eds.). (2009). The Computer Clubhouse: Creativity and constructionism in youth communities. New York, NY: Teachers College Press. This post, an excerpt from a longer piece, summarizes themes and cases from early fieldwork I conducted on the Hive NYC Learning Network. If you’re interested in reading more, you can download the full pre-publication draft of this research: Both R&D and Retail: Hive NYC as Infrastructure for Learning Innovation. Starting back in March 2012, I began ethnographic fieldwork looking at the Hive NYC Learning Network, a group of New York City-based informal educational organizations. The network, now with forty members, includes everything from large cultural institutions like the New York Public Library and the Museum of Modern Art to small community-based outfits like The Point or Citylore. The common thread is that all of the organizations are interested in figuring out what learning can look like in the tech-enabled, openly networked 21st century, and how, through coordinated activity, youths’ learning experiences might include more opportunities to pursue their interests. The network is interesting to me for a lot of reasons, but the one aspect that immediately grabbed my attention concerns what happens when all of these organizations start to interact. Do they share ideas? Do practices spread from one organization to another? Does the network operate as a sort of lab, where new ideas and technologies are born? How do ideas from the broader Digital Media and Learning field (from which the Hive NYC network emerged) get taken up, appropriated, and remixed in the network? Basically, I’m interested in questions relating to innovation – how ideas, practices and technologies that are perceived as new in a given context (Rogers, 1983) get ideated, iterated, and circulated within what I see as a dynamic network of organizations. In this post I want to share both a case of how I saw the network operating as what I call an infrastructure for innovation and why I think focusing on questions relating to innovation processes is important. Mark Surman of Mozilla put it beautifully when I spoke to him about his aspirations for Hive NYC – he hoped the network could operate as “both R&D and retail”, a place where innovations can both be developed and spread. In keeping with the ethnographic tradition of giving primacy to the perspectives of those invested in the context under study, I used Mark’s words in the title of the longer paper. One of the events I had the opportunity to check out over the summer of 2012 was called the “Hive NYC Summer Code Party” – one of a genre of events that have variably been called Hack Jams, Pop-Ups and Learning Parties (for simplicity’s sake, I’ll just refer to them as Pop-Ups). I give a more blow by blow description of the event in the paper, but I’ll just focus here on the basics of Pop-Ups and how I think they’re significant as regular parts of the Hive NYC’s innovation infrastructure. 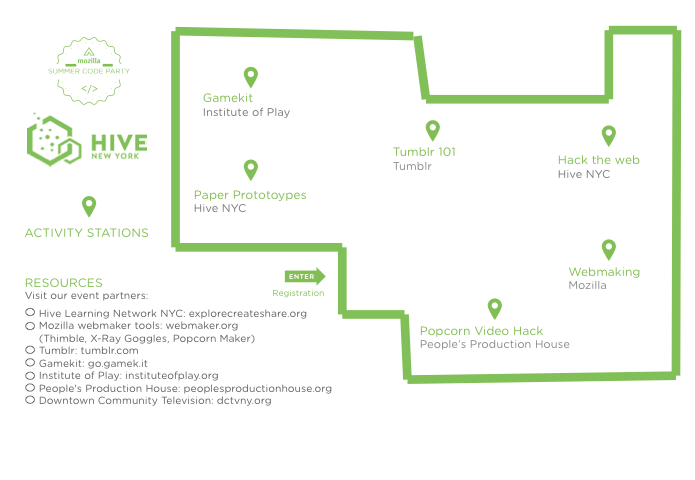 Pop-Ups are one or multiday public educational events where different Hive NYC member organizations set up stations and run activities over the course of a day (see map). 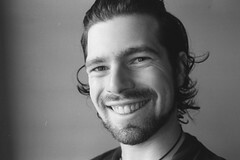 Chris Lawrence, the director of Hive NYC, described them as “free-flowing, interest-driven festivals where people and organizations highlight and share their tools, projects and ideas, with a diverse audience.” Participants run from families to groups of teens to educational professionals to Hive NYC members themselves. In general, Pop-Ups are less workshop (structured events where everyone does the same thing for the same amount of time) and more festival (casual events where the experience of each person will differ based on how they decide to spend their time). At the Summer Code Party, for example, there was a station where you could engage in self led game design activities, one where you could take existing videos and remix them by adding in annotations and live web content like maps and twitter streams, and a station where you could learn to set up and customize a blog, to name a few. One of the reasons I focus on these events is that I, and network members, see them as characterized by various ideas and practices around learning that are central to the Hive. Barry Joseph, my old boss at Global Kids (now at the Museum of Natural History) once referred to Pop-ups as “a distillation of the Hive”. He said further “When I think of a distillation of the Hive, and pop-ups, I think about particle accelerators, in which interesting things slam together at fast speeds, for a VERY VERY short amount of time, release lots of energy and new particles.” This sort of particle accelerator analogy speaks to the ways these events have a creative energy that supports innovations to develop, spread and change, and this is very much what I saw at the Code Party. This idea of “Pop-Up as distillation of Hive” could be looked at in a couple of ways. From the perspective of youth experience, the ideas and practices Pop-ups characterize include production-centered pedagogies, interest-driven learning, multi-generational engagement, youth leadership, public sharing of personal creations, and use of technologies to create engaging and authentic learning experiences. From the perspective of Hive NYC members, these events model both the kind of youth pedagogies I just mentioned as well as how organizations should engage as members of the Hive – these events help put into focus the collaborative, participatory, and, notably, experimental spirit of Hive NYC as a professional network. Pop-up events are opportunities for participating members to bring experimental pedagogies and technologies to the table in a collaborative effort to serve youth. As part of an innovation infrastructure, these events serve at least two important functions. The first concerns how members use these events to develop and spread their own learning innovations, and the second has to do with the ways the events serve to circulate innovation to network members, in the forms of norms around pedagogical practices and what it means to participate in the network from a professional standpoint. One of the key infrastructural functions of Pop-ups is to serve as a space where organizations can develop, test, and refine innovations, in this case, both early stage digital learning tools and new learning activities. At the Summer Code Party event, Jess Klein, a friend and colleague at Mozilla, was running a station where kids were playing with the beta-version of a new tool called Thimble that teaches HTML and webmaking. This was pretty representative of the way that the Mozilla software team has engaged with these events – youth have opportunities to learn with emerging tools, and the software development teams have opportunities to see how well their pedagogical software and approaches are working and use that as the basis of an iterative design process. Another member organization, The Institute of Play, was similarly testing a series of game design activities called Gamekit (just released publicly last week in beta form) and was also paradigmatic of how member organizations use these events as places to refine their tools and practices, often running “mini” versions of approaches that are either used within the context of more extended educational projects such as camps or afterschool programs or are part of broader public initiatives. A less obvious way that Pop-ups serve to circulate innovations is by creating a context in which member organizations themselves, along with other interested parties, learn what it is that the Hive NYC network “is about” in terms of valued norms and practices. Anthropologically-oriented learning scientists might characterize network as a community of practice (Lave & Wenger, 1991), with a shared set of evolving ideas and activities that are central to the community, and with modes of engaging “newcomers” through interaction with “oldtimers” in order to expose them to these ideas and practices. Popups act as a conduit for spreading certain ideas and practices central to Hive NYC, be they pedagogical (e.g., interest-driven learning) or professional (e.g., experimentation and collaboration). I observed that many network members at the Summer Code Party were simply there “soaking it in”, or engaging in “legitimate peripheral participation”, as Lave and Wenger (1991) would call it. Leah Gilliam, one of the facilitators of Hive NYC, shared with me that she saw these events and the experience of participating in producing them as key moments when new members of Hive NYC “get it” – that is, when core ideas of both the ethos and practices of the Hive NYC network are made transparent through participation for network members. The medium of the event is the message to members about what it means to do Hive-like work. In some cases, these events act as very concrete opportunities for members to develop capacity around and adopting technologies that embody certain values central to Hive NYC. For example, one consistent form of valued practice that I observed in the Hive NYC was that of promoting youth voice in public, and often online, contexts. During the code party, an employee from member organization The Point used resources from a station run by Tumblr employees to build a youth blog for her organization, expanding her repertoire of ways to use new media to promote public youth voice in an openly networked fashion. Other cases were more abstract, with Hive members simply observing, coming to understand some of the ethos and practices valued in the network. In these ways, pop-ups and their ilk act as contexts for circulation and spread of innovations to and from network members. I share this case (and the others in the paper) not to claim that Hive NYC is definitively an infrastructure for innovation, but rather that it has the capacity to operate as one. More broadly though, I hope that talking about it can help to spark a larger conversation about the importance of innovation infrastructures in education. The notion that the Hive NYC Learning Network could be a test-bed of innovations, ones that might be circulated both within the network itself as well as within the broader field of Digital Media and Learning, is one that goes back to some of the earliest conversations in the network. But to me the promise of an infrastructure for learning innovations is something that goes beyond the network itself, one with major implications for how we think about the endeavor of designing learning as a society. The field of education tends to take a “silver bullet” approach to the process of advancing its work. Various camps stake out particular visions of how to solve the “problem” of education, pushing their often ideological ball forward and aiming to convince all others that, if only we fully put their vision of reform fully into place, all would be well in the (educational) world. Look around a little and you’ll see these everywhere. Vouchers. Educational Technology. Charter Schools. Universal standards. 21st Century Skills. Each is often touted by their proponents as “the” solution. The education historian Diane Ravitch calls this the “Big Idea”, and notes that none of these sorts of grand plans have ever left education particularly better off. In contrast to such silver bullet approaches to educational reform, the notion of infrastructures for learning innovation implies that changing our educational practices will (and should) be an ongoing process – one informed by shifts in youth interests, changes in community needs, breakthroughs in our understandings of learning, and identification of new literacies essential for an information age. An infrastructure for learning innovation provides the support to create (or tweak) new ideas and solutions, a way to field test, and a way to show them off others in case they’d like to take them up and use them in their pedagogical practice, and, crucially, allow innovations to be tested in real life contexts as opposed to sequestered laboratories with controlled conditions we don’t find in the wild. It’s not that the “silver bullets” that I mention above aren’t useful at all; the problem is that we think the solution to education will come in the form of one “silver bullet.” We need many silver bullets for the myriad of issues out there, and a way to understand these innovations not as static entities that either work or don’t work, but as ones that must be tested, adapted and recontextualized based on circumstance. Infrastructural support for innovation has been a longstanding feature in Science, Technology, Engineering and Math (STEM) fields, with institutions like Xerox PARC and Bell Labs seeding new ideas and technologies that are now regular features of daily life. Indeed, much of the criticism of the education system in the US centers on how little pedagogical practice has evolved over the last century, and this is partly due to the fact that there is little infrastructure that assumes new modes of learning will need to be developed beyond what can currently be envisioned. In looking to understand Hive NYC’s capacity as an infrastructure for learning innovation, I’m interested in seeing if it might contribute to a broader conversation I think we should be having about a vision of education work that assumes that any given approach will eventually become outdated. Perhaps education needs to embrace something the Buddha realized over 2,500 years ago – things are impermanent, and we should live accordingly. I’ve been variably involved with Mozilla’s Webmaker project since it started in 2010 (before it was even called that). I had the privilege to go to the first Drumbeat festival in Barcelona, and helped with some of the early prototyping around Hackasaurus, mostly contributing ideas about what sorts of web literacies (particularly, hacker literacies) the tool could promote. A lot of the time I’ve just been lurking, but lurking in the sort of way that someone with anthropological tendencies might. Lots of watching and listening to see what’s happening in the space and to understand how it’s evolving. In one of my Fall courses though (I’m in a doctoral program in the learning sciences), I had the chance to formalize some of this lurking into some (brief) online fieldwork. Since the Webmaker team and community are going through some start of the year navel gazing (in its distinctive “less yak, more hack” Mozilla style of doing so) and planning particularly on the theme of how mentors engage in the community, I figured I’d share a small analysis I did of some of the early participation by mentors that may be useful to the conversation. A bit of context about where this analysis came from. I was taking a great course with Dr. Sean Duncan, who recently joined the faculty of our Learning Sciences department here at Indiana University and specializes in learning in informal, digital spaces, particularly games. The course, naturally, was geared towards these themes. Titled “Learning in Participatory Cultures”, it was oriented towards understanding informal online spaces using a couple of established theoretical frameworks: Henry Jenkins’ Participatory Culture, Jean Lave and Etienne Wenger’s Communities of Practice, and James Paul Gee’s Affinity Spaces. For an early assignment, all the students had to choose an online community they’d look at and analyze. I chose Webmaker, as it’s a community I care about and had already done some thinking on. I share the a pdf of the analysis here, and will give a couple of qualifications, and then a tl;dr version of what I saw and its implications. Qualifications: First, this was written for an audience that had no idea what Webmaker (or even Mozilla) even was, so there’s a bit of context in there to lead up. Second, it was written for an academic course, particularly a theory one, so was written in aca-language. I use terms like “identity”, “mediation”, “contested” and “constituent practices”. Apologies. 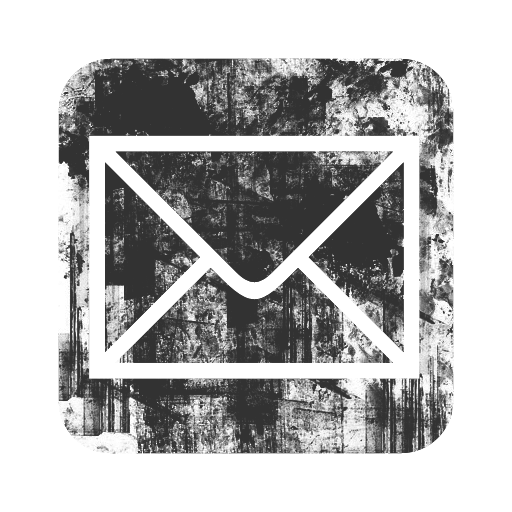 But, my sense is that it’s actually fairly readable to most folks that have an interest in Webmaker and/or online communities, but I’m of course open to feedback on that front. Third, it’s a little longer than a typical blog post at four pages (plus appendix), which is why I share it in PDF form. Consider yourself qualified. The tl;dr version: the mentors that volunteer and participate in Webmaker come from a variety of communities and backgrounds. Looking at specific examples, I show how commitments to a number of different communities including the broader Mozilla volunteer space, the free/open source (FOSS) community and software development writ large play a central role in the way that some mentors understand and forge connections to Webmaker. These pre-existing commitments play out in their participation in Webmaker and ultimately shape what the initiative looks like. Bottom line: in thinking about the future of Webmaker, we can’t ignore the past and present identities of those that make up the movement, and how those identities shape the movement. As always, happy to hear thoughts and feedback.